The term “soft drink” is commonly used in product labeling and on restaurant menus. In many countries these drinks are more commonly referred to by regional names, including carbonated beverage, coke, fizzy drink, cool drink, cold drink, lolly water, pop, seltzer, soda, soda pop, tonic, and mineral. Due to the high sugar content in typical soft drinks, they may also be called sugary drinks. This sugary carbonated beverages comes in a huge variety of sizes, colors, flavors, and fizz. The rate of consumption averages around 216 quarts (or 204 liters) per year per person. “Fifty-six percent of 8-year-olds drink soft drinks daily, and a third of teenage boys drink at least 3 cans of soda pop per day” -Sally Squires (reporter). Squires points out that “Soda pop provides more added sugar in a typical 2-year-old toddler’s diet than cookies, candies, and ice cream combined.” That’s a lot of sugar! Not only are soft drinks widely available everywhere, from fast food restaurants to video stores, they’re now sold in 60% of all public and private middle schools and high schools nationwide, according to the National Soft Drink Association. A few schools are even giving away soft drinks to students who buy school lunches. The sweetener may be either sucrose (table sugar), or high fructose corn syrup. Many people have allergies or sensitivities to corn. In addition, high amounts of fructose stress the liver and cause weight gain. Sugar provides a fertile breeding ground for bacteria, which cover the teeth with a film called plaque. Plaque disintegrates the tooth enamel, causing holes or cavities that can eat into the nerve-rich soft tissue (dentin). Plaque also lodges between the gum and the teeth, creating pockets of infected material that cause the gum to pull away from the teeth. There is abundant scientific data proving that sugar causes obesity. Children who drink soda are almost twice as likely to become obese than those who do not. Obese does not merely indicate overweight. An obese person is more than 20% over his or her maximum healthy body weight. Obesity is known to contribute to diabetes and heart attacks. Sugar depletes the body of vitamins and minerals because the system requires abnormally high levels of nutrients to process the sugar. Finally, sugar makes the system much more acidic. This forces the kidneys to work harder to eliminate the wastes that cause disease. The phosphorus in phosphoric acid binds to calcium, thus preventing the body from absorbing it. This calcium deficit manifests in all bone tissue in the body, including in the mouth (the teeth). The phosphoric acid “begins to dissolve tooth enamel in only 20 minutes,” notes the Ohio Dental Association. When bones are depleted of calcium, they become more porous and brittle. 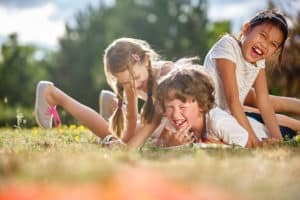 Calcium loss from bone affects five times more girls than it does boys, leading to more fractures and breaks. As adults, these girls are also much more likely to develop osteoporosis. Phosphoric acid also causes the aluminum in the cans to leach into the liquid. So when you drink soda, along with everything that’s supposed to be in the can, you’re guzzling a toxic heavy metal. Finally, phosphoric acid unbalances the body’s pH. As the name implies, it makes the body much more acidic. As with sugar, this forces the kidneys to work harder. Not all cola drinks contain caffeine, but many do. A 12-ounce can of typical cola can contain from 35 to 38 mg of caffeine. “Few know that diet colas — usually chosen by those who are trying to dodge calories and/or sugar — often pack a lot more caffeine,” points out Squires. The most popular synthetic sweeteners are aspartame and saccharin. Saccharin and aspartame are two artificial sweeteners that have been rigorously studied for their safety in the past few decades. The damage to the liver, to the entire nervous system and brain, and to muscles is extensive and sometimes irreparable. Not all cola drinks contain artificial sweeteners, but many do. Saccharin, a white crystalline powder, is about 300 times sweeter than sugar and contains no calories. It is one of the most commonly used artificial sweeteners in soft drinks and is used in a variety of other products, including fruit juices, chewing gum, mouthwash, toothpaste and pharmaceuticals. Aspartame, one of the most common artificial sweeteners, is a combination of two amino acids — phenylalanine and aspartic acid. Aspartame is 200 times sweeter than sugar and, like saccharin, contains no calories. The National Cancer Society notes that rumors regarding potential negative health effects of aspartame, including cancer, have been circulating for many years. One more thing. All of the sugar (or synthetic sweetening chemicals), flavorings, and phosphoric acid require massive amounts of water to flush them out of the system. Soda users rarely drink enough water, and become dehydrated. “The UAE was found to have the fifth highest rate of fizzy drinks consumption in the world” – higher than any other country outside the American continent. UAE residents are guzzling almost three times more fizzy drinks than the global average – and it’s leading to bulging waistlines and diabetes, the world’s largest ever study of soft drink consumption has found. On average, residents in the UAE down more than a 103 litres of fizzy drinks each, per year. A report on the study, written in conjunction with officials at the World Health Organization, warned that for every gallon increase in soda consumption per person, five per cent of adults in the country become overweight, a further one per cent become obese, while one in 300 adults contracts diabetes. The broad study suggested a strong link between diabetes in a country and its consumption of soft drinks. One of the British authors, Cambridge University sociology professor David Stuckler, told 7DAYS that the findings were “very important to the UAE, which has very high rates of sugar consumption and diabetes”. In response to the report, one Dubai-based nutritionist said she had clients who were consuming up to 20 cans of soft drinks a day and were “addicted and need help”. Soda addiction is also sugar addiction. Sugar intake in moderation is not a problem. 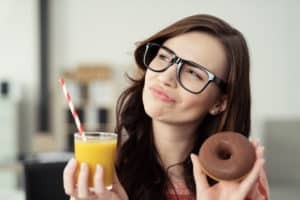 But if you are always craving for sugar and if you are eating and thinking about it multiple times a day, then you might be having sugar addiction. Allergy to B complex is the main cause of any addiction, including sugar. NAET can test and treat if you have blockages which hinders the absorption of B complex in your body. If you are still not convinced about what sugar can do to our body, watch this video. Did you know that Type 2 Diabetes as of 2013 there were roughly 368 million people diagnosed with the disease compared to around 30 million in 1985. How can you prevent it? Or if you have it today how will you cure it? This Video is speaks http://bit.ly/1YPHCGG Watch the video today! Wonderful blog you have here but I was wondering if you knew of any discussion boards that cover the same topics discussed in this article? I’d really love to be a part of community where I can get advice from other experienced individuals that share the same interest. If you have any reesmmcndationo, please let me know. Thanks! accidentally (stumbleupon). I’ve book marked it for later! positioning this post upper! Occur over and confer with my website . Hey there could you mind letting me know which webhost you’re working with? admit this web site loads a whole lot quicker then most. Is it possible to recommend a good internet hosting provider at a fair price? It can be perfect a chance to make a few plans for the long run and it’s a chance to be happy. you some fascinating things or advice. Perhaps you could write next articles talking about this short article. Highly energetic blog, I enjoyed that a lot. Will there be described as a part 2? This can be a excellent tip especially to those fresh to the blogosphere. Short but very precise information Thanks a lot for sharing this particular one. I’m now not sure where you might be getting the info, but great topic. I will bookmark your weblog and test again below frequently. Hmm it seems just like your website ate my first comment (it was extremely long) therefore i guess I’ll just sum it what I wrote and say, I’m thoroughly enjoying your blog site. Superb blog! Do you possess any tips and hints for aspiring writers? problem to light and make it important. A lot more people should read this and understand this side of the story. basis, if so afterward you will without doubt take nice experience. Hi there, You’ve performed a great job. I will certainly digg it and individually suggest to my friends. advise him/her to check out see this internet site, Keep up the good job. in order that I might just subscribe. Thanks. Hi Vicente, thank you for your comment. We are looking forward to hearing from you on our next blogs. Feel free to contact us if you need any further information. sites on the net. I’m likely to strongly recommend this web site! I believe this is one of the most vital information to me. Hi, thank you for your positive comment. Appreciated it very much. We are looking forward to hearing from you on our next blogs. Please don’t forget to subscribe to our blog and you will receive mails once we published new blogs. I surprised with all the research you intended to make this kind of post incredible. Hi Luciano, thank you very much for your support. We are glad to know that we are achieving our goals in providing information to people. Hi JulietPCorre, we are glad to know that we are achieving our goals in providing information to people. Please don’t forget to subscribe to our blog and you will receive mails once we published new blogs. this wonderful bit of writing to increase my knowledge. Thank you 🙂 . Please don’t forget to subscribe to our blog and you will receive mails once we published new blogs.Feel free to contact us if you need any further information. Thank you :). Please don’t forget to subscribe to our blog and you will receive mails once we published new blogs. Thank you ???? .Please don’t forget to subscribe to our blog and you will receive mails once we published new blogs. Feel free to contact us if you need any further information. Thank you for your comment ???? . We are looking forward to hearing from you on our next blogs. Please don’t forget to subscribe to our blog and you will receive mails once we published new blogs. I am delighted that I discovered this website, precisely the right information that I was looking for! Thank you 😀 .Please don’t forget to subscribe to our blog and you will receive mails once we published new blogs. Feel free to contact us if you need any further information. Cheers! Thank you 😀 .Please don’t forget to subscribe to our blog and you will receive mails once we published new blogs. Feel free to contact us if you need any further information. Thank you ???? Please don’t forget to subscribe to our blog and you will receive mails once we published new blogs and feel free to contact us if you need any further information. Hi Alena, thank you for your appreciation and for visiting our site. Please don’t forget to subscribe to our blog and you will receive mails once we published new blogs. Hi Malinda, thank you for your comment and support 😀 .Please don’t forget to subscribe to our blog and you will receive mails once we published new blogs. Thank you 😀 . Please don’t forget to subscribe to our blog and you will receive mails once we published new blogs. Hi Annabel, thank you for your comment. We are looking forward to hearing from you on our next blogs. Please don’t forget to subscribe to our blog and you will receive mails once we published new blogs. naetdubai.com is a well-written piece. I just now sent this on 12/9/2016 to a coworker who has been involved in some work of their own on this topic. To say thank you, he just bought me a drink! So, I should probably say: Thank you for the drink! I just want to mention I am new to blogs and certainly liked this blog. Most likely I’m planning to bookmark your website . You surely come with good posts. Thanks a bunch for revealing your webpage. I simply could not depart your site before suggesting that I extremely enjoyed the usual info a person supply to your visitors? Hi Ernie, Thank you for your comment 🙂 Please don’t forget to subscribe to our blog and you will receive mails once we published new blogs. Feel free to contact us if you need any further information. particularly fantastic read!! I definitely loved every part of it and I have you book-marked to check out new things on your website. Hi Venus, that is an awesome comment! We are glad you found it helpful. Please don’t forget to subscribe to our blog and you will receive mails once we published new blogs. Feel free to contact us if you need any further information. Thank you Oscar, Please don’t forget to subscribe to our blog and you will receive mails once we published new blogs. Feel free to contact us if you need any further information. Hi Adam, thank you for your comment Please don’t forget to subscribe to our blog and you will receive mails once we published new blogs. Feel free to contact us if you need any further information. Thank you Brian, Please don’t forget to subscribe to our blog and you will receive mails once we published new blogs. Feel free to contact us if you need any further information. I have been examinating out some of your articles and i can claim pretty nice stuff. I like this welog so much, saved to my bookmarks. Thank you Andreas, Please don’t forget to subscribe to our blog and you will receive mails once we published new blogs. Feel free to contact us if you need any further information. These are in fact great ideas iin on the topic of blogging. I was abble to find good info frfom your blog articles. You look at this subject from far more than one angle. Are you a fan of WordPress? I could not refrain from commenting. A excellent article. Are there other pages you work on? Guess I will just book mark this page. I simply must tell you that I love your write ups post. You already know this but you are really something special. Such a deep answer! Excellent site content. I wish other information I found turned out to be just as exceptional. Continue the great job. Hey very nice website!! Guy .. Excellent .. Amazing .. I will bookmark your website and take the feeds additionally…I’m satisfied to seek out a lot of helpful information here within the submit, we need work out extra strategies in this regard, thanks for sharing. Spot on with this. You have opened my eyes to varying views on this topic with interesting and solid content.